He was played by Jet Li in the Once Upon a Time franchise and Jackie Chan in the Drunken Master series. Other actors taking on the role of Wong Fei-hung include Andy Lau, Gordon Liu, and David Chiang. If you take on the part, you’d better bring you’re A-game, because there are plenty of predecessors to be compared with, going back to the 1940s. 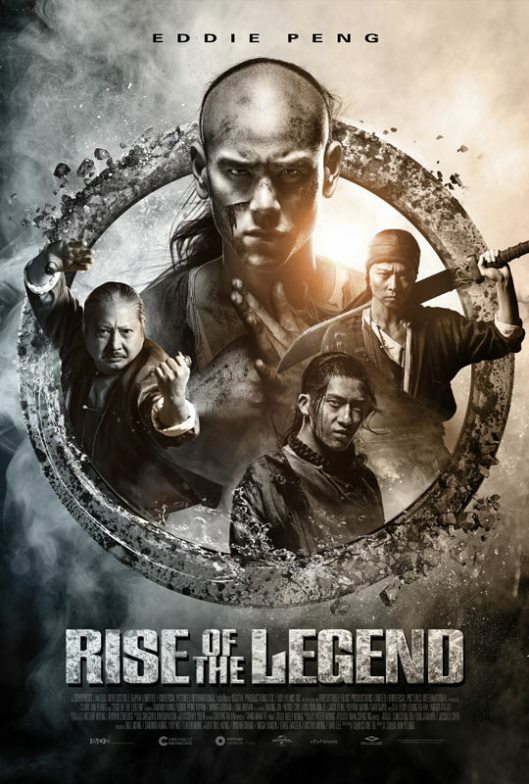 Eddie Peng Yu-yen assumes the mantle in a highly fictionalized account of the martial artist’s early years, nicely exceeding expectations in Roy Chow’s Rise of the Legend (trailer here), which opens this Friday in New York. Abandoned and ailing on the streets of Guangzhou, Wong is nursed back to health by his soon-to-be adoptive father, Wong Kei-ying, a respected physician and martial artist in his own right, with help from his brother (adoptive and sworn), Huo, a.k.a. Fiery. Soon, they form an inseparable foursome with fellow orphans Chun and Orchid, until the latter girl is ripped away by the city’s criminal element. That would be the rival Black Tiger and North Sea Gangs. Led by the imposing Lei Gong, the latter outfit is probably the more formidable, so Wong temporarily joins their ranks a dozen or so years later. As a reward for dispatching the head of the North Sea Gang (and bringing said head as proof), Lei anoints Wong as his fourth “godson” (in a very “Godfather” kind of way). However, Wong is secretly coordinating with the righteous new Orphans Gang, led by Huo and Chun, relying on Orchid (now a courtesan) as their go-between. Rise has a reasonably sweeping narrative, but it all boils down to Wong Fei-hung putting fist to gang-member face. Fortunately, action director Corey Yuen keeps things appealingly gritty and old school. He lets them get it on, which is what we want to see. Peng also deserves serious props. Some viewers might know him more for his romantic comedies or as the dandyish villain in the Tai Chi Zero/Hero films, but he exhibits hitherto unseen steeliness and legit action cred as the early twenties Wong. He really rises to the occasion. Of course, Master Sammo Hung makes a larger than life villain as Lei. For extra, added gravitas, “Big” Tony Leung Ka-fai dispense wisdom and flashes some moves as the good doctor, Wong Kei-ying. Wang Luodan shows poise and sensitivity as Chun, but Angelababy’s Orchid gets all the juicy dramatic bits, which she makes the most of. As Fiery, Jing Boran also demonstrates some considerable skills, but he is largely overshadowed by flashier characters (nickname notwithstanding). Rise definitely has plenty of good stuff for fans of martial arts cinema and costume historicals. It is just tragic enough to stay true to tradition, but not to the extent it becomes maudlin. 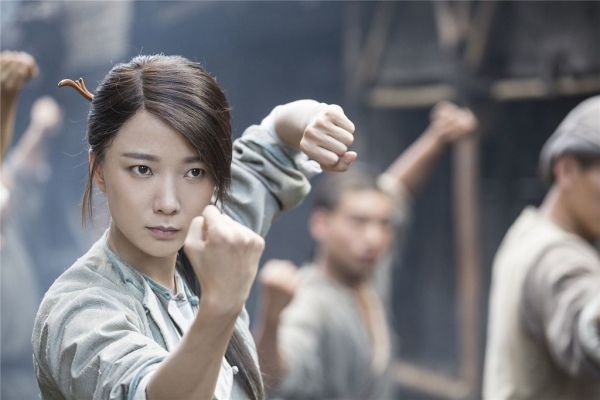 The fight scenes are crisp and energetic, while the period production values are quite high. It is not the ultimate exemplar of the genre, but it is a thoroughly satisfying addition to the Wong Fei-hung canon. Recommended with enthusiasm, Rise of the Legend opens this Friday (3/11) in New York, at the Village East.